Zhelle.Dk: New pattern on Etsy! Just want to let you know that I have a new pattern on Etsy! It can be made into a biscornu or maybe even a little pillow! 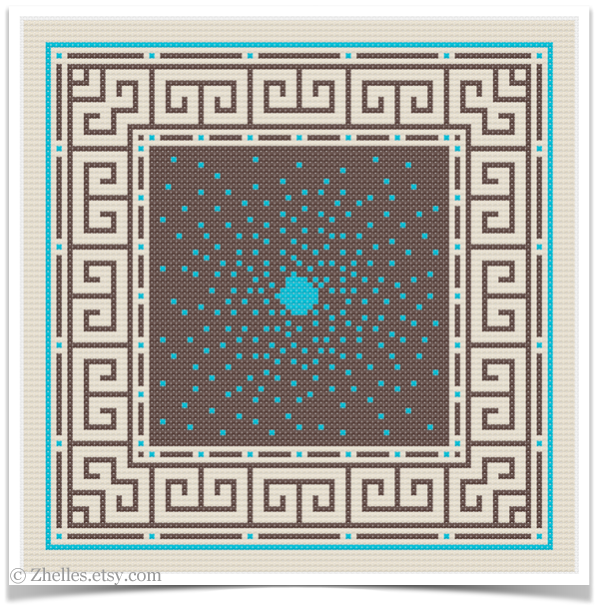 It is inspired by Greek patterns and the beautiful turquoise sea. I hope you are all having a great spring! :D Sun has started to warm us here in Copenhagen, it feels wonderful!